Sydney is a dream destination for city people and nature lovers alike. It feels like every day a hip new bar and a different hidden beach are being added to the list of must-sees in this city. However, the seemingly endless list of things to do can be overwhelming for those of us travelling on a budget. 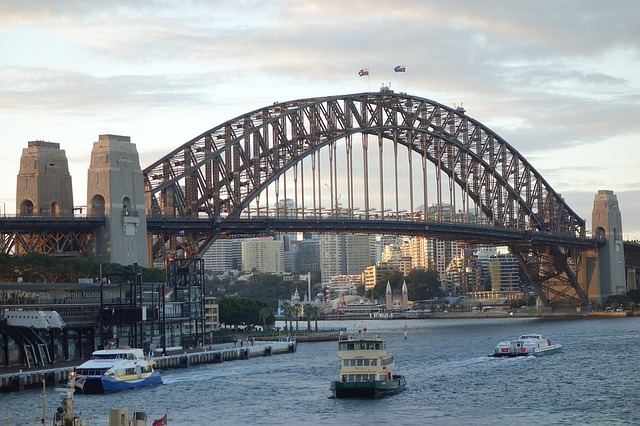 Below are 9 awesome pointers when it comes experiencing the best of Sydney’s rich culture, nature, food and nightlife without breaking the bank. 8 Fantastic Sydney Day Trips Worth Leaving the City For! Sydney is fairly walkable in certain areas, but to fully experience all this wonderful place has to offer, it’s worth taking advantage of the cheap public transportation. The networks of buses, trains and ferries here can usually get you where you need to go at a reasonable price. An Opal Card allows you to tap on and tap off of these services with ease and at a better price than paying for single trip tickets. You can purchase an Opal Card at many corner stores and cafes. If your card balance ever runs low, it can be topped up at the same locations or inside any train station. You can also add funds to your card online through the Opal website or through the Opal mobile app for your convenience. Experiencing the sights of Sydney harbour from the water is something you can’t miss when you visit this city. That said, booking a spot on a harbour cruise may require spending more than you bargained for. But don’t worry, once you have your handy Opal Card, you can ride the ferry for a fraction of the cost of a harbour cruise and enjoy the same spectacular views! One of my favorite rides is the trip from Circular Quay to Manly. As you depart from the Wharf, the Harbour Bridge towers on the left and the Opera House can be seen from every angle as you pass it on the right. Another benefit of taking a ferry ride is ending up in an entirely new destination to explore when you get there! GET YOUR COPY OF THE SYDNEY LONELY PLANET BOOK HERE! If this is your first time in Sydney, joining a group tour is a great way to bundle a bunch of must-see experiences into one cost. You can also have adventures that you might not have splurged on otherwise, like getting surf lessons and sandboarding. Organised tours are a great way to meet others backpackers travelling the country as well and you may leave the adventure with a new travel buddy or 3 – making the cost of renting a campervan later much cheaper! Many of the most reliable tour companies can also assist you during the rest of your travels in Australia – helping you plan your journey and grab the best deals. One of the most unique aspects of Sydney is the combination of bustling city life with stunning beaches. There are so many beaches around this city, both world famous and hidden, that you could probably spend every day of your trip at a new one! Sydney’s beaches are as beautiful as they are enjoyable and spending time on ALL of them is free! Lie out on the white sand with a good book, surf in the bright blue water, or pick up snorkel gear and spot some marine life. There is no wrong way to experience Sydney’s beaches except to not experience them at all. 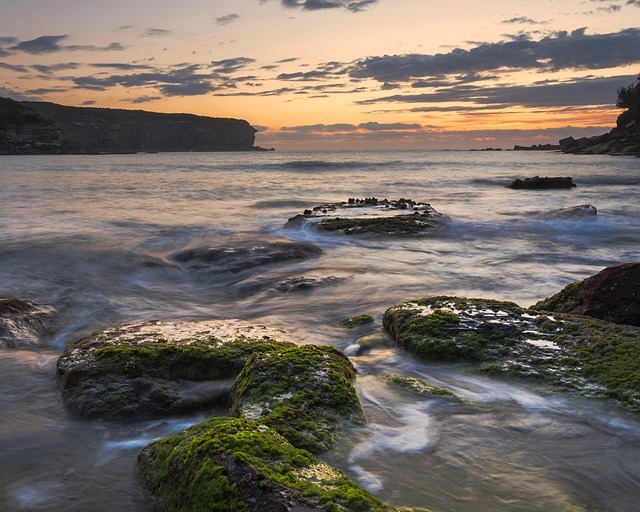 Another way to experience Sydney’s stunning shores on a budget is by doing some coastal walking. 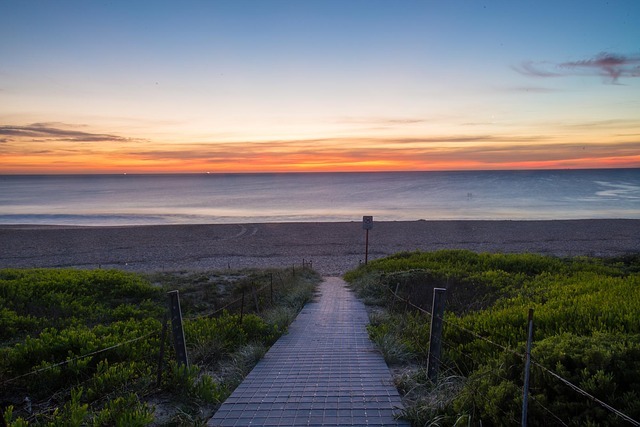 You can take a stroll from one popular beach to another, such as the Bondi to Coogee walk, and discover many secluded and delightful spots along the way. Many of the paths have unique sights throughout, such as eroded rocks with contorted shapes as well as varying colours and panoramic views of the city. If you keep an eye out on the water you might even be lucky enough to spot some whales! Some other favourite hikes include the Spit Bridge to Manly Walk and the Barrenjoey Lighthouse Walk. In true Aussie style, it’s all about slapping on the sunscreen, getting out there and enjoying it… too easy! The national parks in and around Sydney make perfect day trips and all of them are FREE to enter if you come without a vehicle. Royal National Park is a firm favourite with its famous insta-worthy landmarks. Indeed, an awe-inspiring hike through the Australian bush and along the towering coastline can bring you to the figure eight pools where you can take a dip in rock pools that look almost too perfect to be natural. Other treats to be discovered include Wedding Cake Rock, where you can marvel at the white slice-shaped wonder, and Marley Beach, where you can swim in what feels like a hidden oasis. If you’re looking for hilly hikes with lush valleys and waterfalls, then Blue Mountains National Park is the place for you. Seeing the Three Sisters here is a must. To discover any of Sydney’s parks more fully, consider booking a night or 2 at a hostel near your park of choice and splitting up your walks and exploration over multiple days. Spice Alley can be easy to miss if you’re not looking for it. This tucked away spot feels almost movie-like with its contemporary graffitied walls and paper lantern adorned sky. And it’s the perfect place to eat on a budget whilst in Sydney. You can pick and choose from lots of smaller dishes from several restaurants – all serving up delicious Asian-inspired options. This allows you to tailor your meal to your taste as well as your price range! You can also mix up your order every time to ensure you never grow tired of the food here. 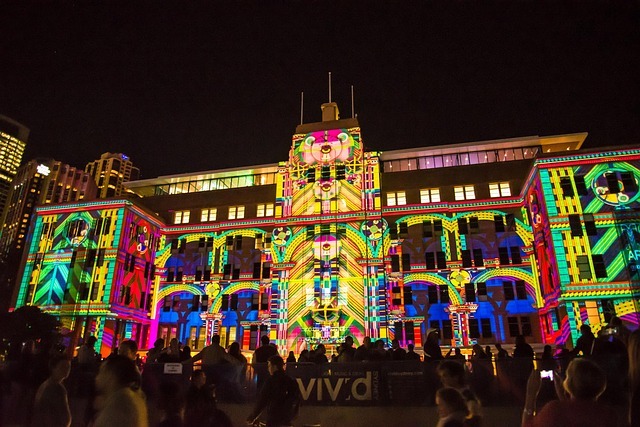 Museums are a great way to immerse yourself in the culture of a new country or city and many of Sydney’s top cultural institutions have cheap or even FREE admission. Yes this city boasts enough museums to please anyone – from people into contemporary aboriginal art to those more intrigued by natural history displays. And they’re not just a rainy day activity either! The Museum of Contemporary Art contains a rooftop bar and cafe that overlooks the harbour, making it the perfect spot to grab a bite to eat between exhibits. You can also pop into any of the galleries along Sydney’s streets to experience artwork that is more off the beaten path. It’s no secret that Australians know how to have a good time! Sydney has some of the best bars and clubs in the country, so whether sipping rooftop cocktails or letting loose on the dancefloor is your night-out style there’s something to suit everyone. The most savvy way to take advantage of the nightlife in Sydney if you’re on a budget is by going out early. Many spots that charge entry fees are cheaper or even free before a certain time. Do your research and find out the exact cost of entering your destination of choice (some vary by the day of the week or by the hour) and get there early to save a few $. 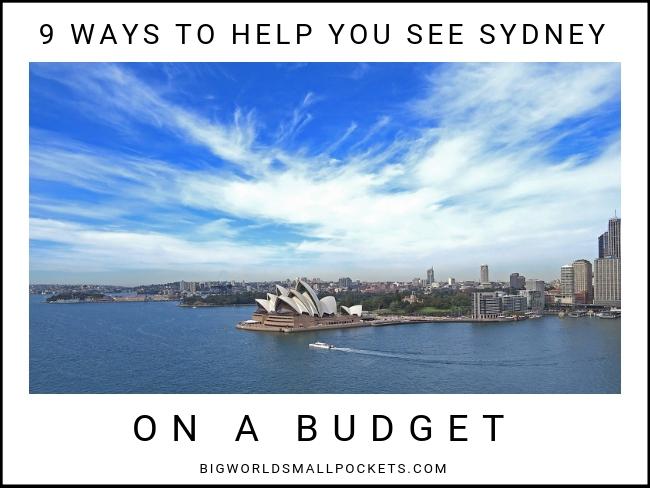 However you choose to spend your time in Sydney, I hope you can utilise these tips to get the most bang for your buck while exploring this incredible city!